Hill 60 was a strategically important knoll at the end of the Sari Bair hill range, overlooking Suvla Bay. Its capture would in effect secure the Anzac and Suvla landings which had occurred in the days and weeks before. The bulk of the attacking British force was based on General John Monash's 4th Australian brigade but also included Indians, New Zealanders, Irish and British troops. However these forces though experienced and willing had been struck by dysentery which weakened many men. Early in the afternoon of August 21st the 13th and 14th Australian battalions along with the 5th Connaught Rangers went over the top. In a hellish encounter the attacking waves were swept by unsuppressed machine guns and forced to ground. In the heat of autumn a grenade set off a bush fire which rapidly spread among the dense undercover burning many wounded to death. The 22nd brought reinforcements and a renewed attack which once more resulted only in heavier losses despite remarkable Allied bravery. 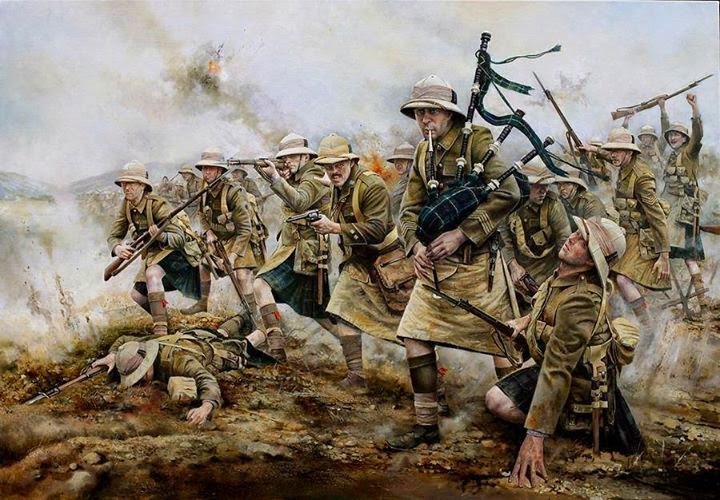 Pushing forward with the bayonet the Australians suffered severely. By the 27th the Ottoman forces had been pushed back yet critically still held the summit of Hill 60. That night the 8th, 9th and 10th Australian Light Horse regiments, men from Victoria and Western Australia, made one last effort to reach the summit but suffered a similar fate to their predecessors. Caught in crossfires the attack withered away, and by the 29th it was over. The battle for Hill 60 though small was the final Allied assault in Gallipoli, as they now took up a defensive posture. Hill 60 was a low rise on the southern flank of the Ypres Salient, named for the 60 metre contour which marked its bounds. It wasn't a natural hill but was created by the ground removed whilst constructing the railway line nearby. The hill had been captured by the Germans on December 10, 1914 from the French forces. During the race for the sea, it was obvious the Hill had to be retaken. A great deal of the fighting around Hill 60 was underground as can be seen by the memorials today. The British immediately began tunnelling a number of mines beneath the hill. By April 1915 twenty one mines had been completed. At 19:00 on April 17, 1915 the mines were detonated, demolishing a large part of the hill and killing many German soldiers occupying the trenches. The British battalions suffered only 7 casualties in capturing the hill. A German counter-attack succeeded in recapturing the hill but the British regained possession on April 18. Fighting continued until April 22. Hill 60 was eventually taken by the Germans following a gas attack on 5th May, 1915. The results were devastating. The front trenches were overrun when the forward companies were almost wiped out. Only 2 officers and 70 men from one battalion remained. It was only due to the heroic defence by a platoon of the Devon and Dorsets and the Battalion Headquarter Staff of the Duke of Wellington's Regiment that a major breakthrough was prevented. You can clearly see the bullet holes on the memorial plate from the Germans' return engagement in the Second World War, apparently out of a fit of pique. 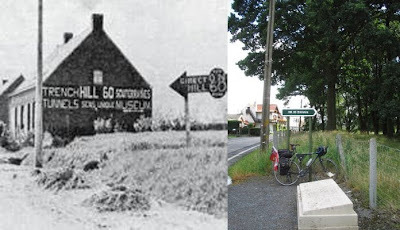 This monument to the 14th Light Division, next to that of the 1st Australian Tunnelling Company, records that the Division landed in France in May 1915, comprising KRRC, Rifle Brigade, Ox & Bucks Cyclist Co., Royal Engineers, Signals, Pioneers and a Mobile Veterinary Section. The battle honours of the Division listed include Ypres, the Somme and Arras. Looking across from both memorials one can see Ypres next to nearly the same view soon after the war. There are a number of remaining pillboxes on Hill 60. This one was originally German, but modified by the Australians in 1918. Throughout the area are the remains of craters blown by mines. This particular depression was blown at the start of the Battle of Messines. 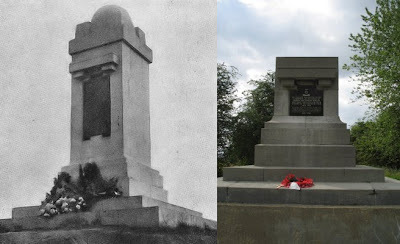 The original memorial before it was destroyed by the Germans during the Second World War and today. This is where the regiment fought their first open engagement beginning at dawn on April 21, during which they lost 12 officers and 180 men in casualties. On the night of 20–21 April, Second Lieutenant Geoffrey H Woolley and a handful of men were the only defenders on the hill and continually repelled attacks on their position. He encouraged the men to hold the line against heavy enemy machine gun fire and shellfire. For a time he was the only officer on the hill. When he and his men were relieved on the morning of 21 April only 14 out of a company of 150 had survived. For his gallantry he was awarded the Victoria Cross - the first time this medal was awarded to a Territorial Officer. The Queen Victoria Rifles (QVR) had arrived in Le Havre on 5 November 1914, one of the first Territorial battalions to serve in France; they were attached to the 5th Division. On 17 April 1915, an attack was mounted on Hill 60 by the 13th Infantry Brigade which included the 2nd King’s Own Scottish Borderers, the 2nd Duke of Wellington’s West Riding Regiment, the 1st Queen’s Own Royal West Kent Regiment, the 2nd King’s Own Yorkshire Light Infantry and the Queen Victoria’s Rifles (9th London Regiment). The Hill was a small promontory on the edge of the Ypres Salient that afforded good views for the Germans across the British lines and into Ypres itself. It was therefore of great tactical significance to both sides. Prior to the attack, the hill had been undermined for days with five galleries being driven under the German positions. The plan was to detonate large mines under the hill to destroy the enemy and their positions after which the 13th Infantry Brigade would occupy the area. 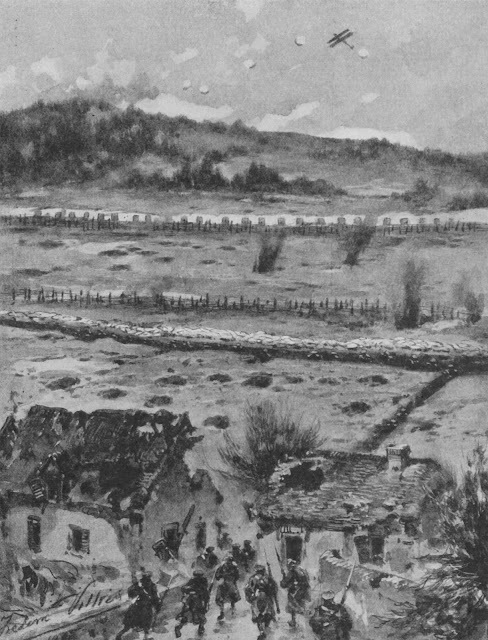 The Hill was captured on 17 April and on 20 April, two and a half companies of the QVRs were ordered up to the front line as the enemy made a counter-attack. At dawn on 21 April, the Germans began bombarding the QVRs with hand grenades. Casualties were heavy, including two officers, Major Lees and Lieutenant Summerhays who were killed. It was then that Lieutenant Geoffrey Harold Woolley left a position of safety to take command of the soldiers on the Hill. The QVRs remained in France for the rest of the war. 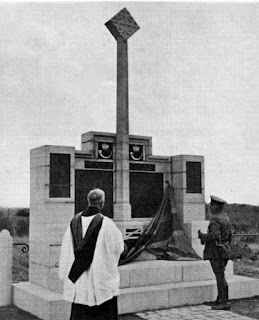 Their losses are remembered at Hill 60 by the QVR memorial and at the nearby QVR café and museum. Near the entrance over the railway bridge is this small memorial to two members of the French resistance killed during the Second World War, erected in 1969.